A 23-year-old Gambian Education and Human rights activist, Salimatou Fatty has been included in the list of the 2017 100 most influential young Africans across the continent. 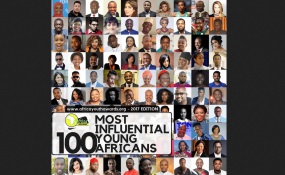 The organisation of Africa Youth Awards released its 2nd annual list of the 2017 100 Most Influential Young Africans, in its vision to recognise young achievers across the African continent. The list is noted to be the biggest and most respected across the continent with participation from over 140 countries globally. Speaking about the list, the President of Africa Youth Awards, Prince Akpah, noted the exceptionality of this year's list which has an unprecedented gender representation of 45 women and 55 men. He noted that this as a great move to inspire more young women in Africa and across the world to reach out for their dreams. The list, which was restricted to age limits between 15 and 36 had a coverage of 28 countries on the continent with Nigeria, South Africa, Ghana and Kenya leading with 19, 18, 10, 7 representatives respectively. For her part, Salimatou Fatty, said she felt overwhelmed to be on the prestigious list and expressed resilience and passion to continue advocating for human rights with a special focus on Quality Education and Gender Equality issues. The CEO of Salimatou Foundation for Education (SAFE) advised young people to believe in themselves and look forward to a brighter future despite the vicissitudes of life. The list was compiled and approved by the awards Jury made up of young Africans from across the globe after public nominations were received and reviewed. The full list which cuts across various spheres of human activity include top celebrities like Asamoah Gyan, Davido, Mercy Johnson Okojie, Pierre-Emerick Aubameyang, Riyad Mahrez, Sadio Mane and Wizkid. Profiles of all the 100 nominees in the list are published on www.africayouthawards.org and was organized in partnership with Avance Media, My Naija Naira, Dream Ambassadors Foundation GH, Global Skills Exchange, WatsUp TV, www.collegeinghana.com, All for Development and lead Africa with the support of various Media organisations across the continent.